Imagine this: You’ve found your dream home in a great neighbourhood, sitting perfectly within your price range. Your offer is accepted, you go through the lengthy legal process and you’re ready to exchange contracts. But then you get the phone call you’ve been dreading… the sale has fallen through. Not only have you racked up a huge legal bill but you also have to endure the emotional and practical implications. According to Birmingham Live, a surprising 33% of house sales fall through each year, leaving sellers out of pocket, out of time and more often than not, feeling very disappointed. 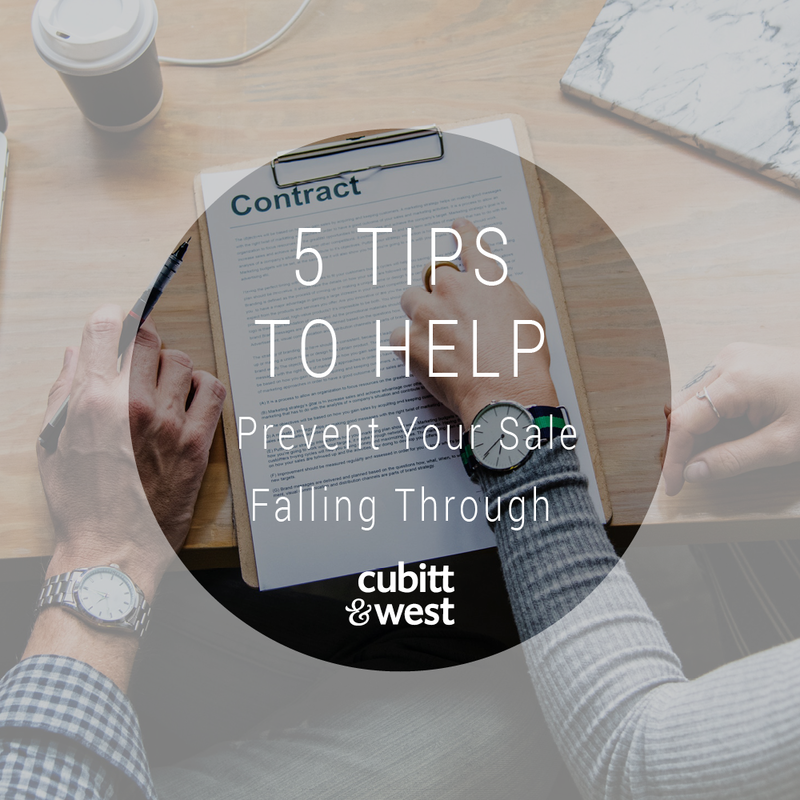 Let’s take a closer look at the common reasons why a sale might fall through and the steps you can take to help prevent this happening. This situation is not uncommon. Although it is against all advice, many buyers will submit an offer for a property without having a mortgage ‘agreement in principle’. Once a mortgage application has been submitted, sometimes it comes to light that the buyer is unable to borrow the funds necessary to continue with their purchase. Before you accept any offers, ask your estate agent to check with the buyer that they already have a mortgage ‘agreement in principle’ in place. If they are cash buyers, it’s a good idea to ask your estate agent to check that the funds are ready to go! There are many reasons why a buyer may pull out of a sale: there may have been a change in their financial or personal circumstances, or perhaps they submitted multiple offers on properties to secure a sale and another offer has been accepted. Or they may have simply changed their mind. However understandable, it doesn’t make it any less frustrating. The above information will help to identify how serious the buyers are. Conveyancing, the legal process of transferring the ownership of a property, can be one of the most frustrating aspects of house selling/buying – and there’s no doubt it can take time. According to Zoopla, completion on the average leasehold property is eight to ten weeks and even less for freehold. You need an experienced solicitor who knows that time is of the essence. Steer clear of understaffed practices and always read online reviews. Advise your solicitor that you would like to be regularly updated. There are many reasons why a survey could come back highlighting problems but one of the main issues is lack of planning permission and building consents. This could relate to outbuildings, extensions, loft conversions, garage conversions – the list is extensive. How to prevent this happening: Put yourself in the buyer’s position and be as honest and upfront as you can. Any information you volunteer before the survey will avoid surprises and delays later down the line. If you’ve already sold a property, the term ‘gazundering’ may strike fear into your heart – and for good reason. This is when a buyer decides to suddenly lower their offer, typically just before exchange of contracts… ouch. If you’ve not been prepared to enter into any negotiations with your buyer or if you have overpriced your property, beware – this may affect you. The buyer, in a last-minute panic, feeling unfairly treated, might suddenly lower their offer. If you think you might have been unrealistic with your price then it might be time to have a rethink. Have a read of real-life experiences of gazundering in this article by The Guardian. If you follow the advice above, it should stand you in great stead and avoid any wasted money, time and disappointment along the way. Remember – transparency and communication are key. However frustrating it can be, try to keep a level head and you’ll make better decisions along the way. As always, a trusted and experienced estate agent is going to make the world of difference. Click here to contact one of our local agents to see how we can help you.